In southwest Uganda there is a village with warm wonderful people waiting to work with you on their new elementary school. 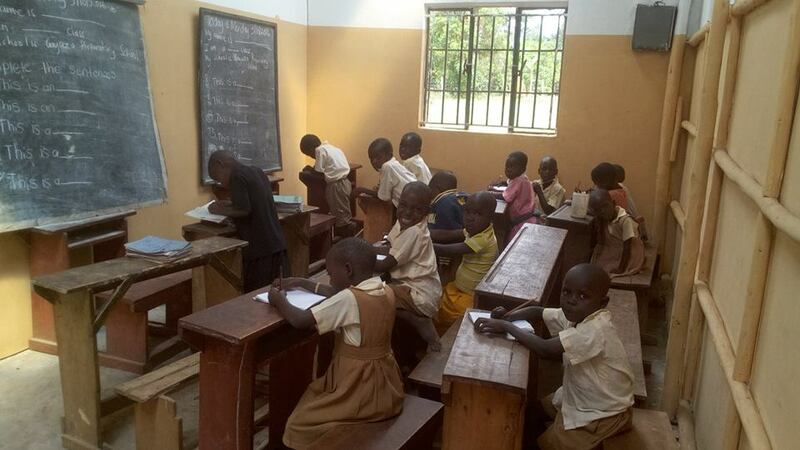 Pictured above are the primary students of the Gayaza Community School sitting in their temporary classrooms on the Gayaza Campus. In 2016 the first team of volunteers worked with the community to complete a vocational school on campus that would improve job opportunities for students. At the completion of that project it was decided that this relationship is good and should continue. BTCV granted funds to finish out temporary elementary classrooms in the schools unfinished main hall. This allowed the young students to move from terrible conditions in small market stalls where the elementary school had previously been held. BTCV will build out new classrooms in phases over the years to come as well as teacher apartment units on site. For more information email us at [email protected] and we will set up a time to discuss traveling with one of our teams.